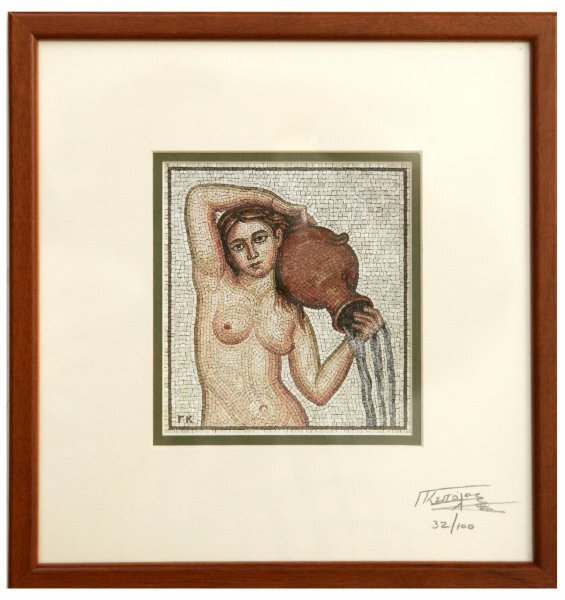 Limited edition autographed copy of 'Aquarius - Ydrohoos' mosaic by George Kepolas. 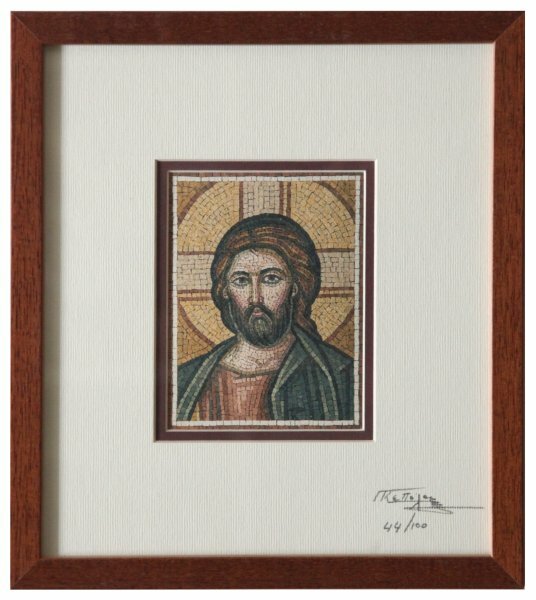 Limited edition autographed copy of 'Christ - Christos' mosaic by George Kepolas. 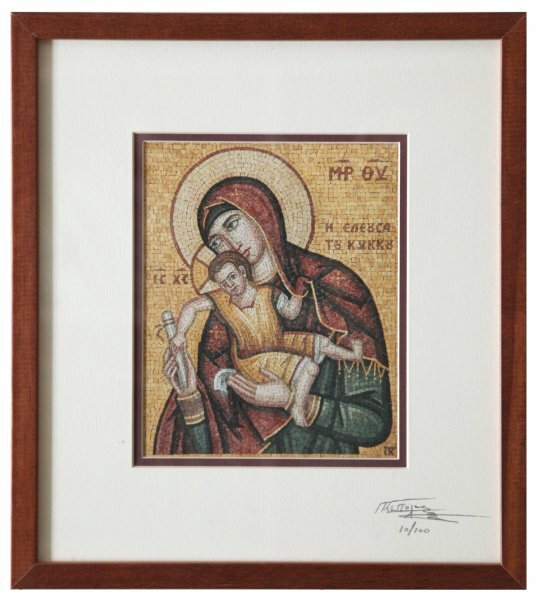 Limited edition autographed copy of 'Panagia of Kykkos - Panagia tou Kykkou' mosaic by George Kepolas. 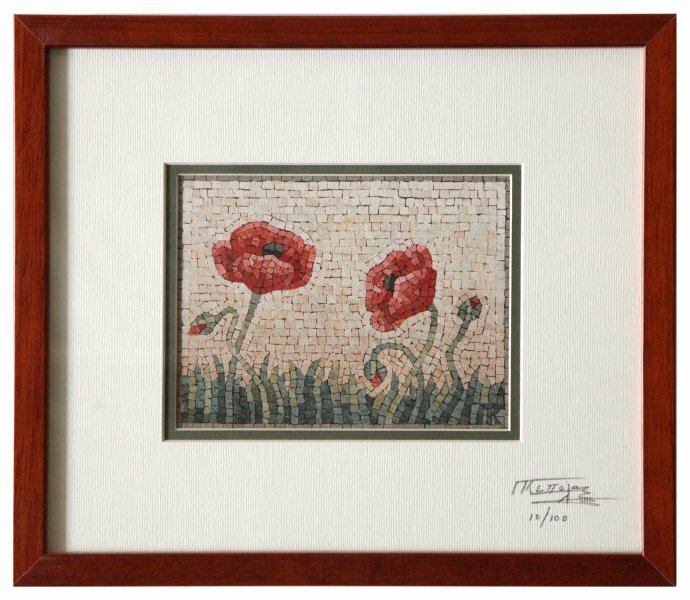 'Poppies - Paparounes' limited edition autographed copy of mosaic by George Kepolas. 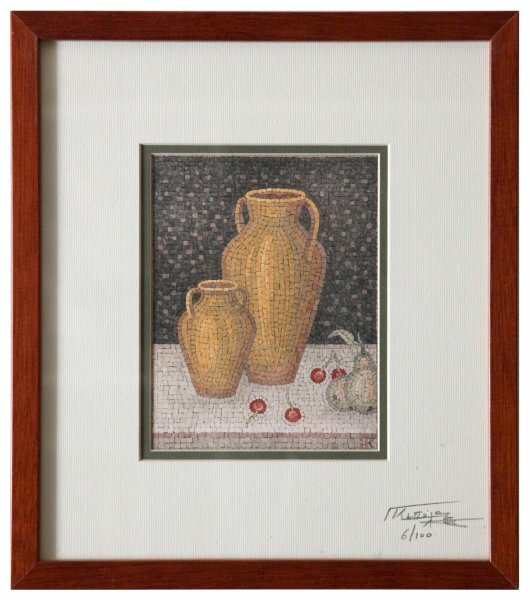 'Pots with fruits - Kouzes me frouta' limited edition autographed copy of mosaic by George Kepolas. 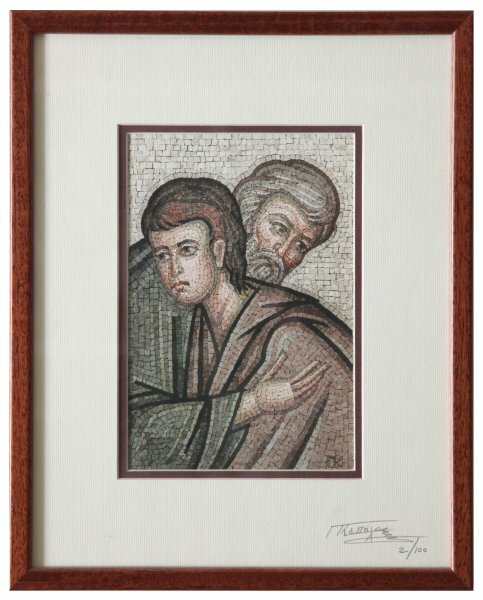 'Prodigal Son - Asotos Yios' limited edition autographed copy of mosaic by George Kepolas. 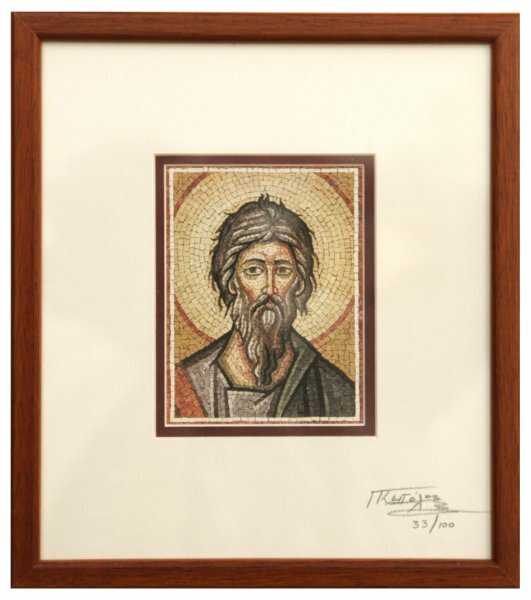 Limited edition autographed copy of 'Saint Andreas - Apostolos Andreas' mosaic by George Kepolas. 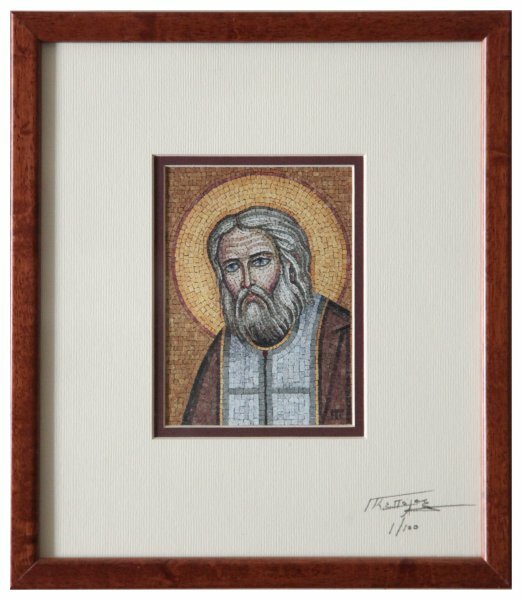 Limited edition autographed copy of 'Saint Serafeim Sarof - Agios Serafeim Sarof'mosaic by George Kepolas. 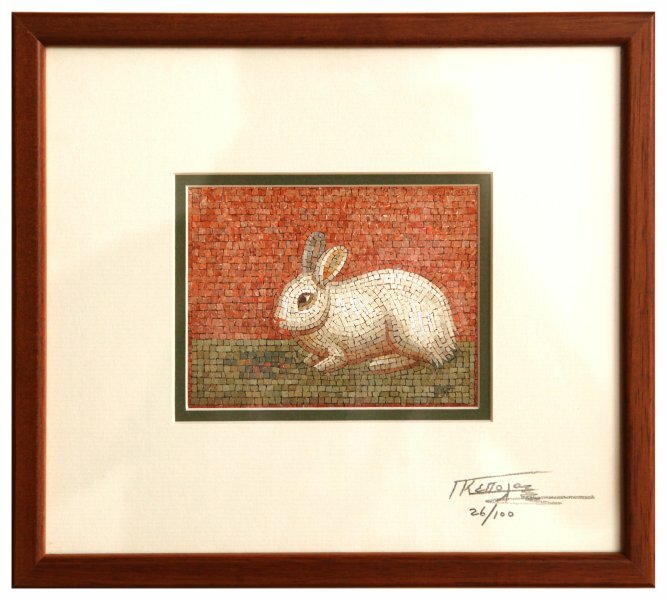 Limited edition autographed copy of 'Small Rabbit - Kounellaki' mosaic by George Kepolas. 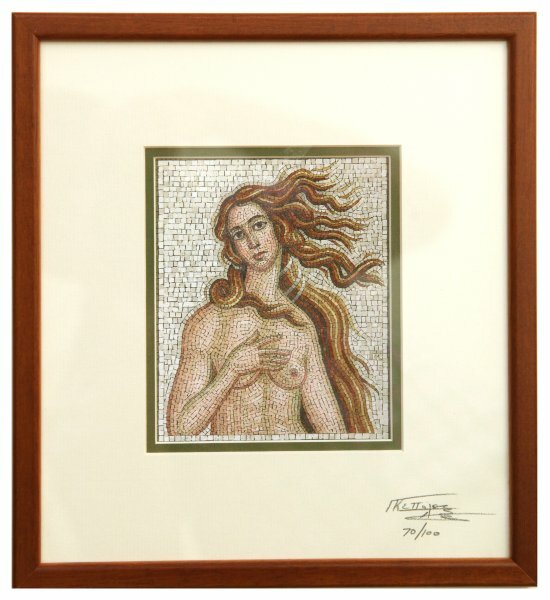 Limited edition autographed copy of 'Venus - Afroditi' mosaic by George Kepolas.